I came back to the States after a short visit to my family back home in UAE. I had a great time and after seeing my family, I realized how badly I missed them. I’m not going to talk more about my visit since things may get emotional here. UAE is known for its warm/hot weather and we rarely have rain, so you can imagine how my body reacted when I came back to New York. What can warm me better than a strong Indian Karak Chai? I have previously blogged about Indian Strong Tea – Karak Chai, but used tea bags and more spices. The version I’m sharing today has less spices and loose black tea. Making a good cup of tea requires using a good brand of tea. 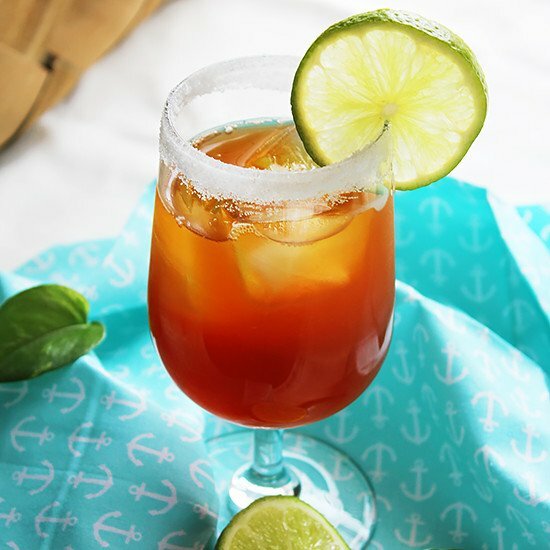 In the past, I used English black tea and the taste wasn’t strong nor pleasant for this recipe. When making tea and I mean any type of tea, make sure not to let the water boil for so long, boiling the water for long period results in creating unpleasant taste. When the water comes to a boil, immediately add your ingredients. 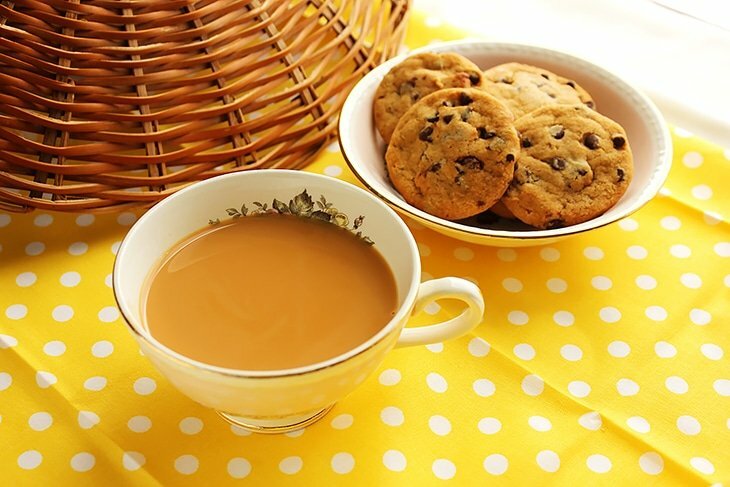 I like to dip butter cookies, Kerala paratha, and biscotti in my Indian Karak chai. If it’s raining outside then I love to have my tea with warm samosas. What do you like to dip in your tea? 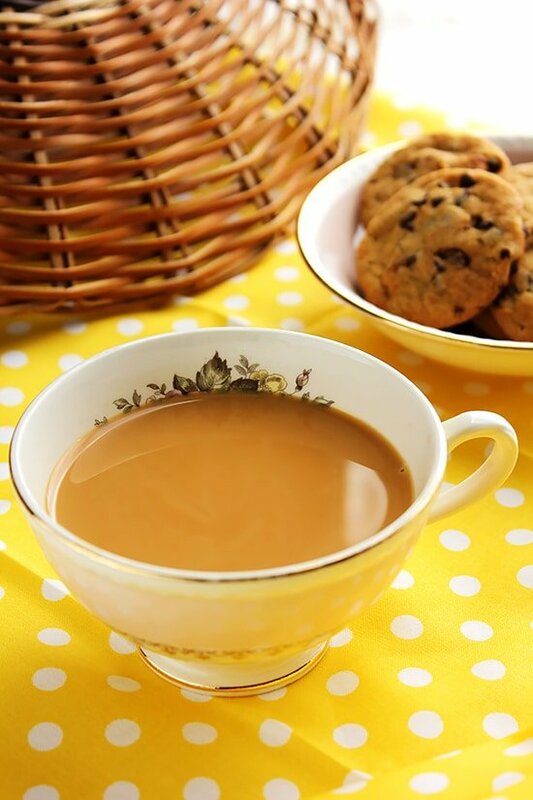 This version of Indian Karak Chai uses loose black tea and perfumed with cardamom and cloves. 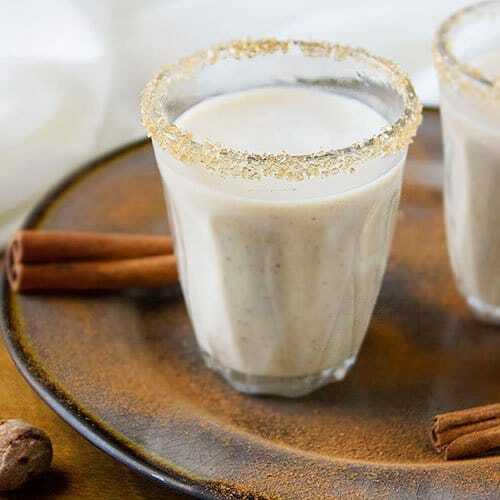 Refreshing and delicious Indian hot drink. In a saucepan, add the water, milk, sugar, cardamom, and cloves. When it comes to a boil, add the loss black tea. When it come to a boil again, reduce heat to the lowest and let it simmer for three to four minutes. Strain the tea. 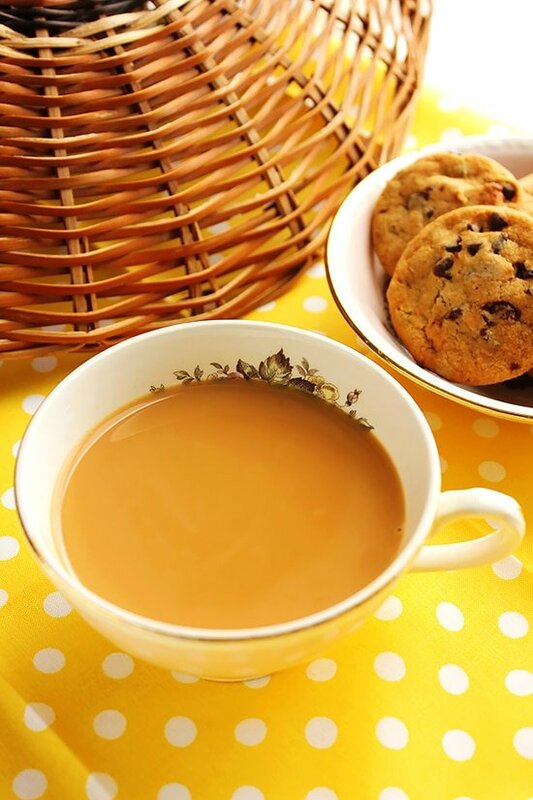 Karak Chai tastes even better when you drink it two minutes after serving. I grew up drinking tea…lots of tea, but not this kind of spiced tea with cream or milk, but pure tea, mostly oolong tea. I really should give it a try. Thanks for sharing, Muna. Oolong tea is soothing but I’m sure you’ll like this version. Aww, I am glad you had a good time, but welcome back. Your tea looks comforting and most def delicious. Perfect for a gloomy day like we have here today. Nice tea! Wouldn’t mind a cup! That’s my kind of chai. KADAK !!! This looks so tasty! 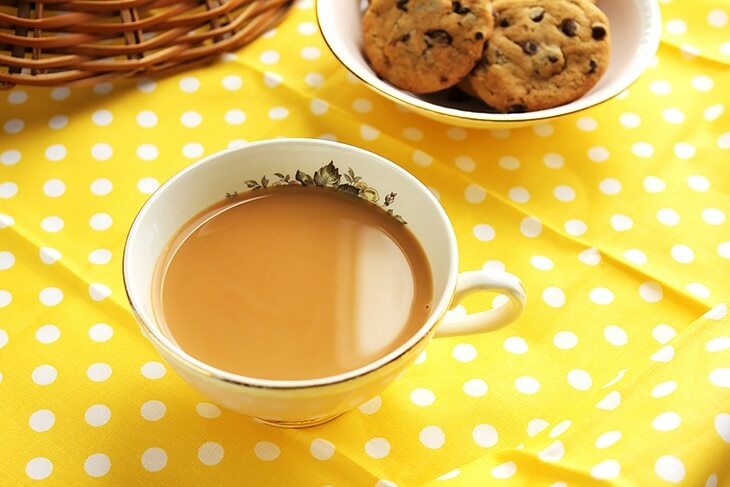 Tea always makes me feel better when I’m sad.. and this tea looks incredibly easy! !